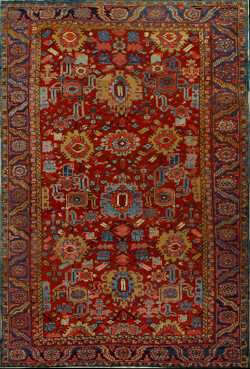 This is a classic nineteenth century pillar carpet from Ningxia in north central China. A scaly, mustachioed, horned dragon soars above stylised waves and mountains on a red-orange ground, further decorated by colourful cloud knots. 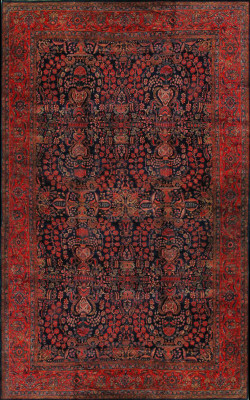 Originally these carpets, some up to fifteen feet in length, were designed to wrap around pillars in Buddhist, primarily Tibetan, monastery prayer halls where the long edges would meet up, thus completing the dragons. Hence there are no side borders. 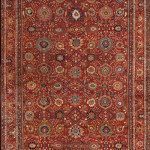 The red field colour is derived from dyewoods and gently transitions to this pleasing orange-rust tone. 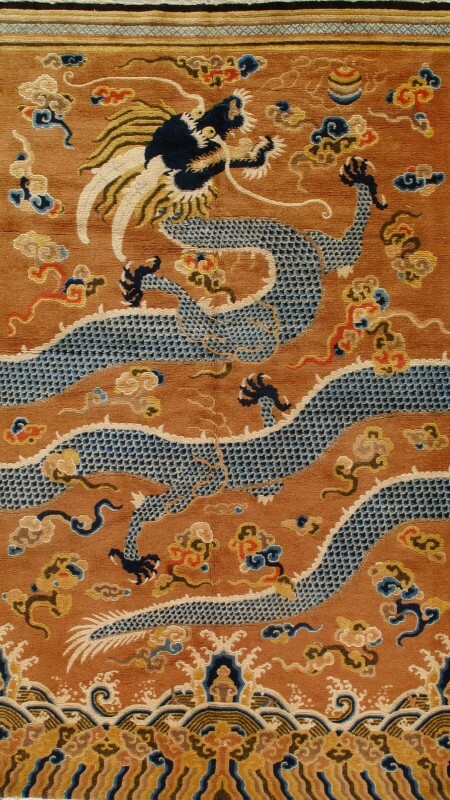 Virtually all pillar rugs were woven in Ningxia and most had dragons as the main motif. Fewer depict Tibetan lamas (priests) of one sect or another and these likely were made for other parts of temple complexes. 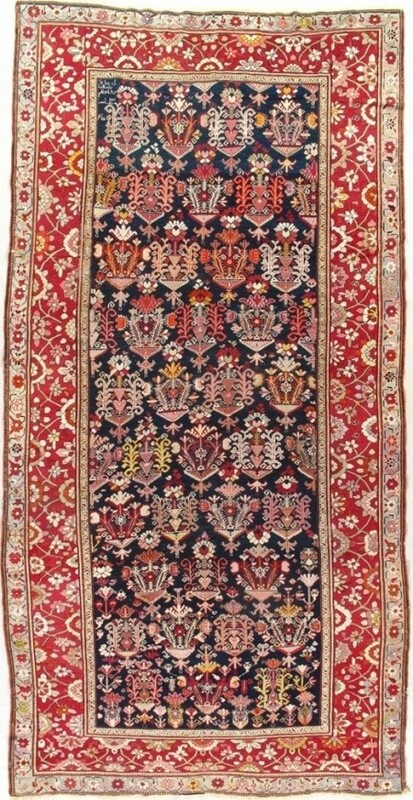 Our rug has a striped horizontal top border instead of the the more usual lambrequin and hanging beaded tassels. 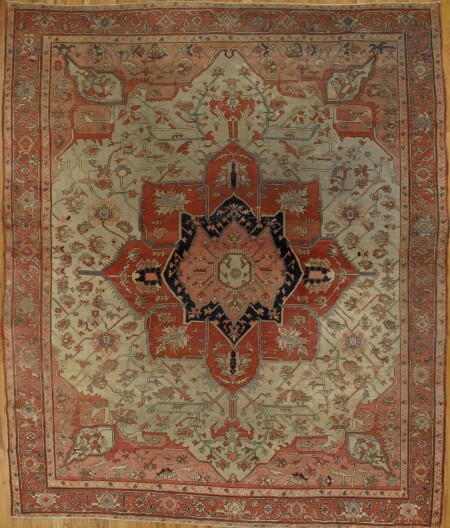 Our example is in particularly good condition with an all cotton foundation and knots in good quality Tibetan wool.